Even if the results were not skewed by the immediate, impassioned responses to the recent tragedies, the persistent economic gap between whites and blacks is a more serious and deep-rooted problem. The unemployment rate for African-Americans stood at 10.4% in December, more than twice that of whites, as it has been formost of the past 40 years. 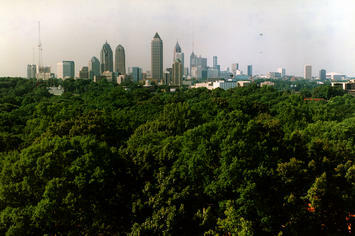 At the top of our list is Atlanta, long hailed as the unofficial capital of black America. The city, which in the 1960s advertised itself as “the city too busy to hate,” has long lured ambitious African-Americans. With its well-established religious and educational institutions, notably Spellman and Morehouse, which are ranked first and third, respectively, by US News among the nation’s historically black colleges, the area has arguably the strongest infrastructure for African-American advancement in the country. The region’s strong music and art scene has also made it an “epicenter for black glitterati” and culture. Submitted by gregfisher on Wed, 01/21/2015 - 04:16. True. things have improved a little but not changed completely. A distinction based on the racism is still there. Submitted by buckw on Sat, 01/17/2015 - 09:58. Your observations reflect mine and beg the question: why do blacks vote monolithically for Democrats who themselves uniformly support amnesty for illegal aliens? Submitted by Inkling on Sat, 01/17/2015 - 09:32. There's a downside to these improvements that likely to become more important over time. I live in Auburn, Alabama, a college town with a booming economy fed by the move of industry to the South. It has an educated black population that's doing quite well. It also has almost as many Asians as Seattle where I used to live. That's probably because it's the closest town with good schools to a large KIA factory just over the Georgia line. A lot of its executives and those of its parts suppliers live in Auburn. The problem lies at the bottom of the economic ladder with starter jobs for young black men in areas like construction and landscaping. When I changed broadband providers, no less that five young black guys showed up to dig a simple trench for the cable. Since they were subcontracting the work, I doubt each got paid even $10 for a job that took a large slice out of their morning. You can't live on, much less marry and have a family that money. And when I look at construction sites in the town, I see why they're doing that kind of work. Most have Hispanic workers of uncertain legal status. I know some. They're dependable, hard-working people and learn quickly. Many are what would be a strong work-ethic middle class in Mexico but for its economy. Whatever the real situation, the perception among those in construction seems to be that, faced with a choice, a Hispanic is a better choice than a young local black man. It may be unfair, but its clear what is happening. And with Hispanics having found that place in construction, it's hard for young black men as outsiders to get in. It's not that they don't have a job in the field. It's that they don't even know one of their fellows who does and friends helping friends is one way people get jobs.